Plants usually produce their own nutrients by using sun energy, but not all of them. A new ‘cheater’ species of orchid from Japan, lives off nutrients obtained via a special kind of symbiosis with fungi. The study was published in the open access journal PhytoKeys. The new orchid species, named Lecanorchis tabugawaensis, is by far not on its own in its strange feeding habits. The so called mycoheterotrophic plants are found among all plant species groups. Mycoheterotrophy is a term derived from Greek to describe the bizarre symbiotic relationship between some plants and fungi, where the plant gets nutrients parasitizing upon fungi, rather than using photosynthesis. Considered a kind of a cheating relationship, these plants are sometimes informally referred to as “mycorrhizal cheaters”. Having long attracted the curiosity of botanists and mycologists, a common feature of most mycoheterotrophic plants is their extreme scarcity and small size. 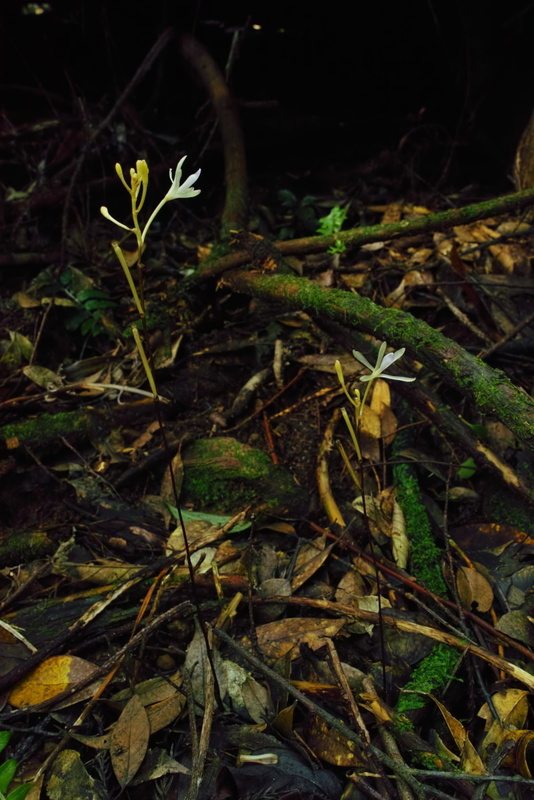 In addition, most species are hiding in the dark understory of forests, only discoverable during the flowering and fruiting period when aboveground organs appear through the leaf litter. Despite it seems like these ‘cheating’ plants have it all easy for themselves, in reality they are highly dependent on the activities of both the fungi and the trees that sustain them. Such a strong dependency makes this fascinating plant group particularly sensitive to environmental destruction. 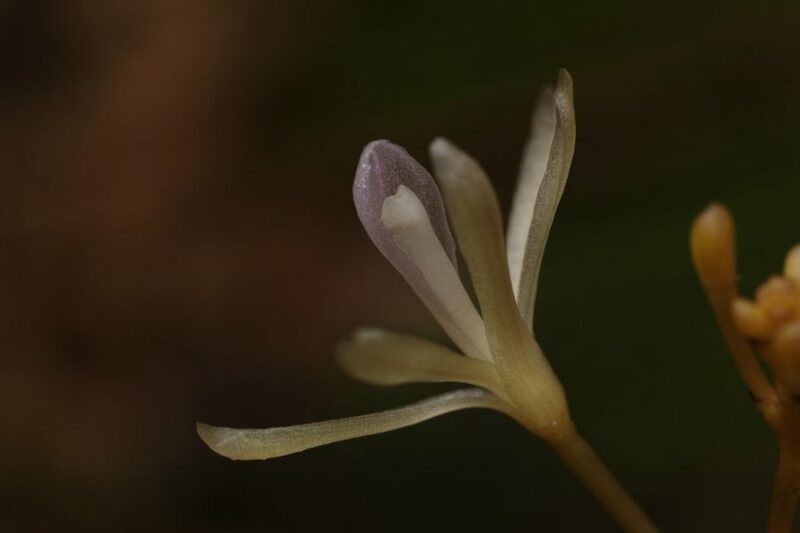 “Due to the sensitivity of mycoheterotrophic plants it has long been suggested that their species richness provides a useful indicator of the overall floral diversity of forest habitats. A detailed record of the distribution of these vulnerable plants therefore provides crucial data for the conservation of primary forests,” explains leading author Dr Kenji Suetsugu, Kobe University. Just discovered, the new orchid species has been already assessed with an IUCN status – Critically Endangered. With a distribution restricted to only two locations along the Tabu and Onna Rivers, Yakushima Island, this fungus-eating cheater might need some conservation attention.